Add cider to your summer cookout shopping list! 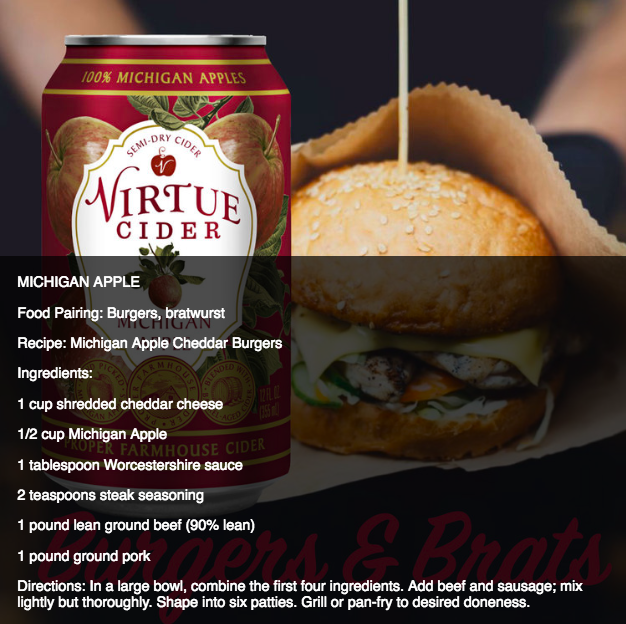 Our ciders are great for pairing with -- or event cooking -- your favorite summer cookout foods. Here are a few recipes to inspire you. Try them out, and share your pics with us by tagging @virtuecider on Facebook, Twitter, and Instagram. PREFER A PRINTABLE CARD? CLICK THESE TO ENLARGE AND SAVE THE IMAGES! Want more cider recipes? Check out our Summer Cider Cocktails recipe guide here.